This anthology is available on Amazon. Click HERE. As you can guess, every short story in the anthology, A Bad Hair Day, is about, what else, bad hair days. And don’t we all have them? In my story, “Mr. Perfect,” Alyssa can’t believe the hottest guy she knows has asked her out. She wants to look her best and hates her flat, lifeless hair. Alyssa decides to get a perm the same day she has a first date with said hottie, Mike Patoosi. Needless to say, that was a bad idea. A very bad idea. The anthology is available on Amazon and Mozark Press. (http://mozarkpress.com/publicationsABadHairDay.php) Writers from across the United States contributed stories and their varied bios are impressive—English professors, freelance writers, columnists, preschool teachers and reporters. I don’t have any doubts that every woman will enjoy this humorous collection. 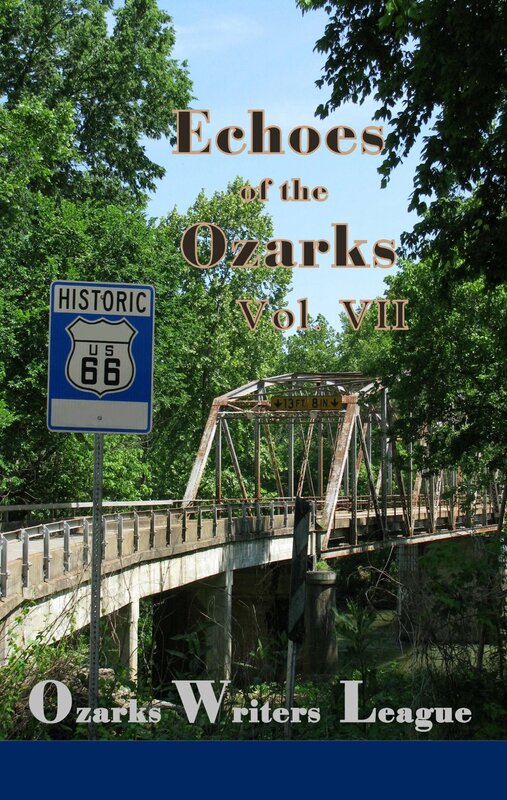 Echoes of the Ozarks is published annually by High Hill Press. Pre-published and published authors contribute stories and poems. Many of these short stories are written by writers from the Midwest. Because of that, you’ll read about cabins, country schools, homesteads, bridges, general stores, and life when it was a simpler time. Most of us no longer live like that but we still occasionally yearn for these sweet, nostalgic memories. My contribution to this anthology is a poem entitled “A Country Drive.” Who doesn’t love a country drive in an old Chevy truck where the windows are down, music is blaring, cows are mooing, and birds are chirping? I know I do and encourage you to take a country drive any time you get the chance. I just wish I’d listen to my own advice. I even won an honorable mention for it! My story is based on true events when I was a young teen. During a séance at my cousin’s house, we were scared out of our shorts. I haven’t been involved in a séance since those formative teen years and never will again. Closer to Halloween, I’ll post the story under Fun Stuff and will try to find my aunt’s recipe for that Grasshopper Pie. Read “Tick. Tock.” below. And anyone who knows me will laugh and nod because I ALWAYS run late.